From the Vault: Let it snow! 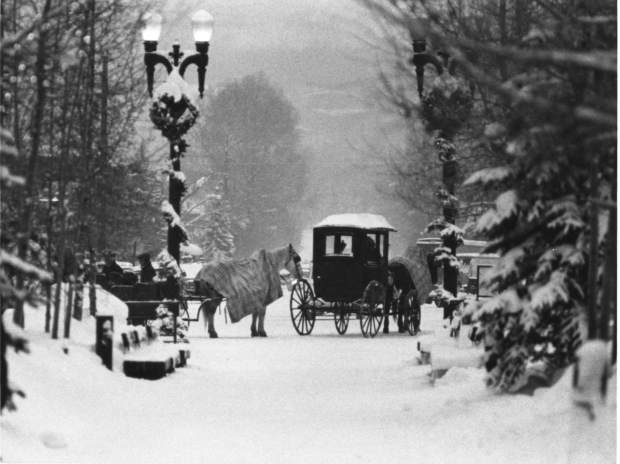 One b/w glossy photograph of two horse-drawn carriages on the mall, 1986-. It is winter, and there is snow on the ground. The street lamps have holiday decorations on them, and the horses are both covered by blankets.